With the introduction of the iPad, like many iDevices before it, speakers docks are not far behind. If you have your favorite music stored in your iPad, prefer to watch movies with it, or play games in it, iPad docks that can vastly improve the audio quality as well as user experience. Here are some of the best iPad speaker docks in the market (arranged from the least expensive). Jensen JiPS-250i – Hey, even iPad users suffer through hard times. This budget iPad dock offers some audio boost for your music, movies, and games. The Jensen speaker dock for iPad can be installed horizontally or vertically, has adjustable viewing angles, and a video line-out so you could play the iPad’s content on the big screen. Costs US$79.99. iLuv Audio Cube iMM747 – This speaker dock is ideal for music-playing iPads because it can only be docked vertically, yet it yields an incredible sound upgrade. The iLuv Audio Cub can also charge and even synch the tablet with Mac or PC while docked. Costs $149.99. 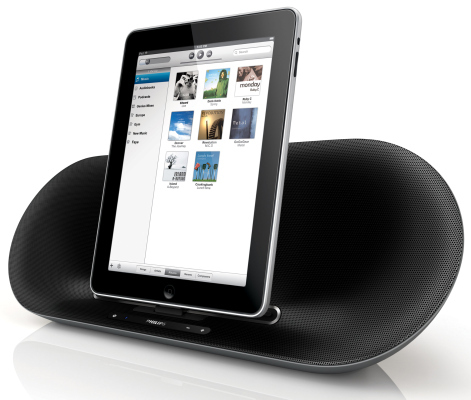 Philips Fidelio DS8550 (pictured) – There are many reasons why this iPad dock is the most expensive in the bunch. 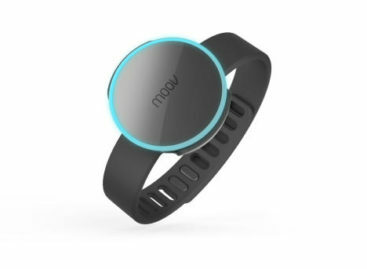 Apart from enabling to charged the tablet computer while docked, it can also perform Bluetooth streaming, and last for up to five hours. It also comes with free Fidelio app that offers enhanced alarm functions. Cost $299.99.